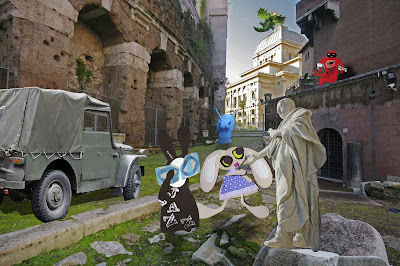 As Terni flew off, the Wabbit saluted Cicero and lost no time. "Let’s get that stone!" he smiled. Lapinette stepped in front of the Wabbit and proffered a paw. "Pleased to meet you, Sir. We are honoured by you visit." "May I tell you of the stone?" said Cicero. "Sinister Agents of Rabit are everywhere good Sir," said the Wabbit, " so we have no time to lose." "Pin back your ears," said Cicero. "The stone was given to me by the magician Acetabularus, disguised as one of his balls." The Wabbit looked puzzled. "Part of a magician’s cup and ball for playing tricks." "Like a three card trick?" asked the Wabbit. "It’s a deft display of sleight of hand and special effects - and it does look like magic," said Cicero, "but my boring colleagues decided to kick all the magicians out the city." "Go on," said the Wabbit, enthralled. Cicero swept his arm in the air. "Acetabularus barely escaped with his life, but left the philosopher's stone in my safekeeping." "How did the Agents of Rabit get hold of it?" Cicero almost smiled. "They appeared to come through a hole in the fabric of time." "Of course!" said the Wabbit, as if it was an everyday occurrence. "So how will we get it back?" asked Cicero. "We usually trick them and when they arrive we blow them up," said the Wabbit, "but this operation demands subtlety." Cicero inclined his head. 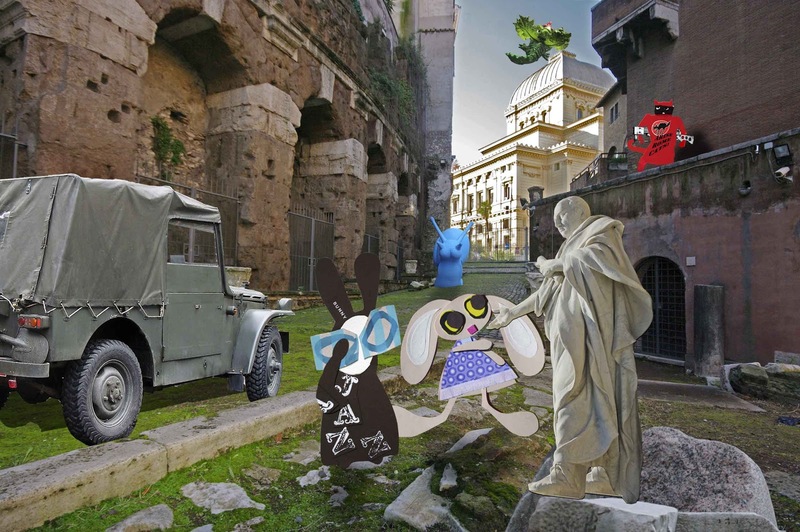 "We’ll attract their attention and trick them into giving us the stone," smiled the Wabbit. "What then?" asked Cicero. "Kaboom!" said Lapinette.